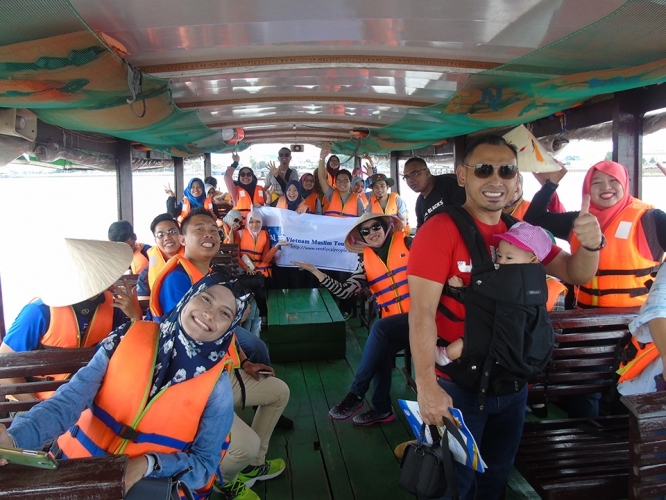 Upon arrival at Tan Son Nhat airport, our tour guide and driver will pick you up and transfer to Local halal restaurant and have lunch. After We will visit War Museum, Post office, Hard rock café and Notre Dame Cathedral. Local Mosque. City hall and Check in Hotel. Have dinner at Local halal restaurant. Overnight in Sai gon. 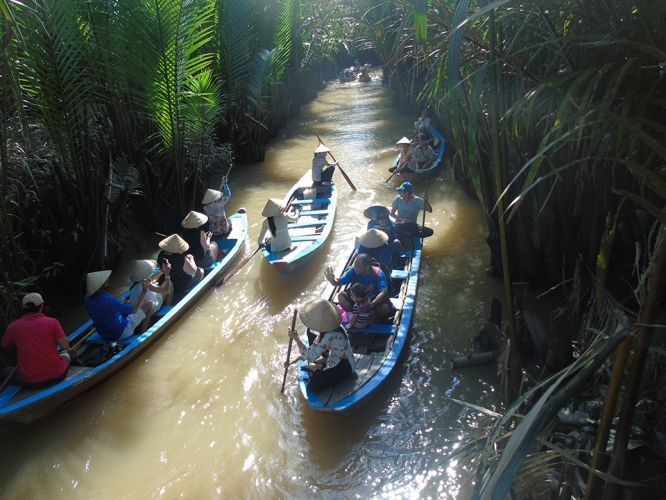 Walking on the Village and taking rowing boat along the nature water coconut canal to see local’s daily life in Mekong delta. + Enjoying some kinds of tropical fruits at the orchard garden and listening to the Southern traditional music. 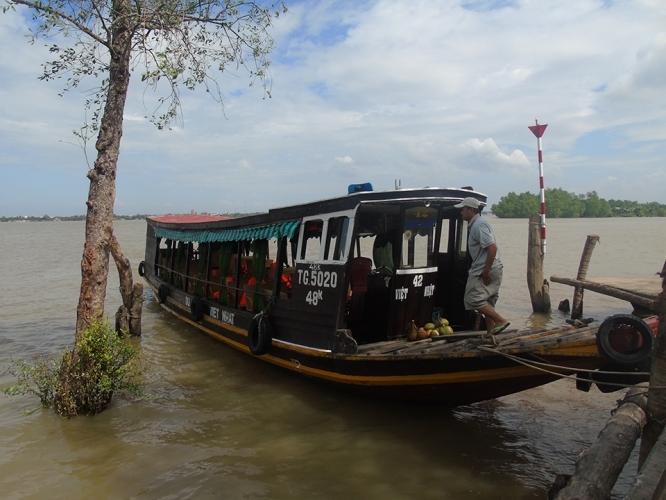 + Local boat will take you back to My tho, have lunch at Local Halal restaurant(in mosque) then the bus will drive you back to Sai gon. We will shopping at Mai wholesale where You can buy telekung cheap more Ben thanh market. Comeback Hotel and Have dinner at Local halal restaurant. Overnight in Ho Chi Minh City. 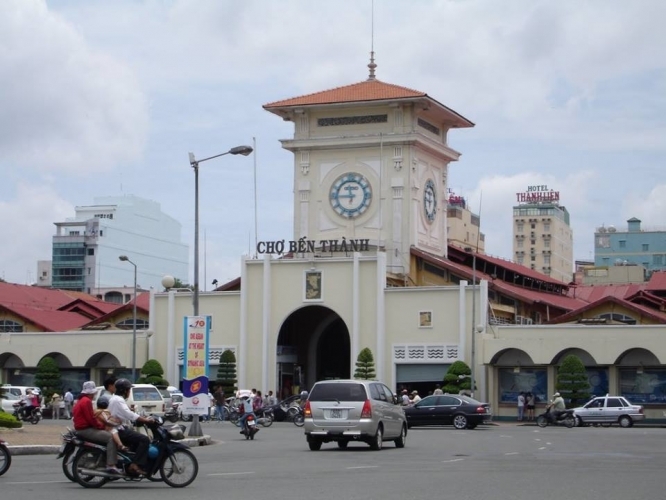 Free time at leisure for shopping , relaxing or further exploring Ho Chi Minh City by your own until transfer to Tan San Nhat Airport for departure flight. End of the tour service.